That one is still uncommon. 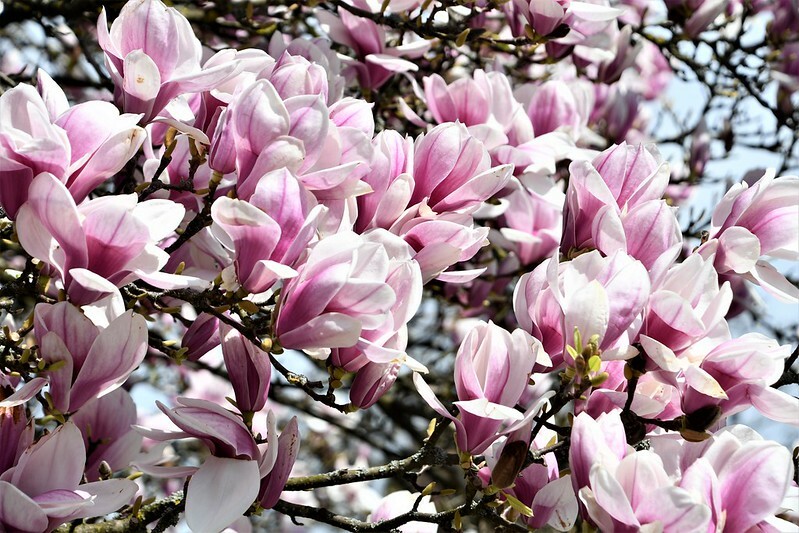 I grew it along with many other cultivars of deciduous magnolias in the 1990s. 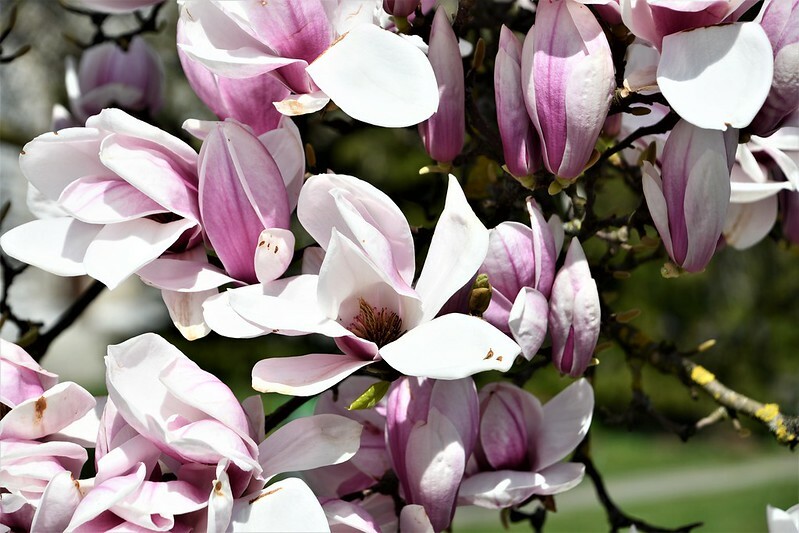 Some were popular, but those with biggest and floppiest flowers, as well as those with smaller flowers, including the star magnolias, were less popular. You are welcome, although it is not exactly useful information. I should remember the cultivars better, but I did not grow them for long, and really did not like them in confinement on the farm. We just were not set up for growing them properly. They are much happier out in landscapes. How glorious! To wake up to such beauty in your garden. The magnolias are in town in the park next to the museum. Unfortunately not in my garden. That one is more impressive than mine. That is how the respond to the cooler winter weather. Ours finished a while ago. One at work bloomed and dropped its flowers before I even got a picture. It is a very small tree that grew from a stump of a tree that was cut down, so had only a few flowers on it. We have about 3 magnolia trees in town and I love to visit them when they are flowering. They have been there fo years in the museum garden. They really look happier there, as if the cold winters inhibit insect infestation. I used to grow them, but did not enjoy working with them directly in production. They are much happier in landscapes than confined to cans on the farm. It‘s one of my very, very best loved trees and flowers. Plus naturally my even more beloved (but stinking when cut) Peonies…… I have a shrub full of over one hundred child‘s head sized blooms, frilly, filled, gorgeous – one hopes it‘s not going to rain into them as it so often did! Shame that the magnolias have a comparatively short season. I seem to have peonies growing everywhere in the garen at the moment. I have two sorts: the filled ones and the asiatic single flowers, both very good. The scent of magnolias is also amazing..